An endearing gift to add a touch of shabby-chic to their loving home! 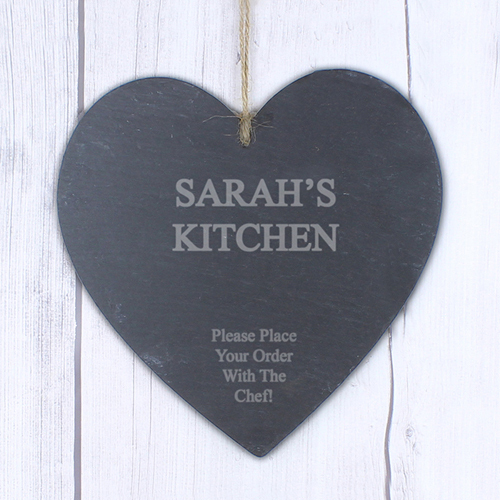 Personalise this Large Slate Hanging Heart with two lines of 12 characters in the centre of the heart. Add a longer message of up to 4 lines of 15 characters to the bottom of the heart. Personalise with two lines of 12 characters in the centre of the heart. Add a longer message of up to 4 lines of 15 characters to the bottom of the heart.